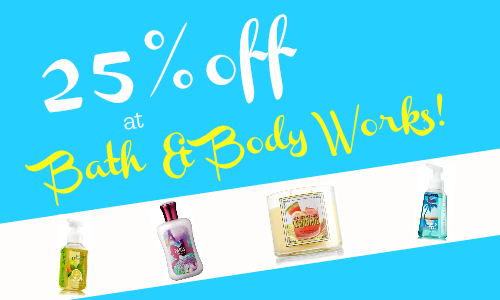 Head to Bath & Body Works to get an extra 25% off your entire purchase! Use the code SPRINGTREAT at checkout to take advantage of this deal. They also have a couple of sales going on that end today (4/30) that would be great for adding to gift baskets or for stocking up: hand soaps are (5) for $18 or (7) for $24 and select body lotions are $6 (online only). Coupon code is good for a limited time only.